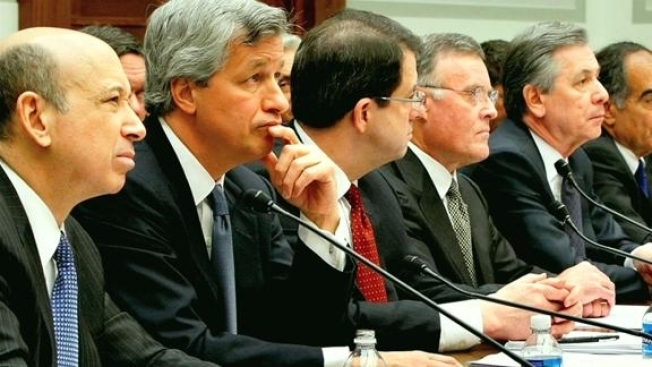 “Inside Job,” which just last month won Best Documentary at the Oscars, traces the roots of the global financial crisis back to the Reagan administration and the rise of the deregulators, who undid much of the legislation enacted in the wake of the Great Depression. Career academic Charles Ferguson shifted to the world of documentary filmmaking with 2005’s “No End In Sight: The American Occupation of Iraq,” earning an Oscar nomination for his efforts. Around the same time, International Monetary Fund chief economist Raghuram Rajan was preparing a paper, "Has Financial Development Made the World Riskier?" which presciently foresaw the topic of Ferguson’s second film. Ferguson interviews an impressive array of economists, bankers, politicians and wonks to break down the events that created the climate that allowed for the wildly irresponsible actions taken by investment banks, as well as the enabling offered by government officials, and the havoc it wrought on both a macro- and micro-economic scale. And Ferguson—with the help of narrator Matt Damon--does a nice job of dumbing down the tangle of financial instruments and maneuvering that banks engaged in to make money out of thin air. Ferguson is to be commended for his spreading around the blame for what went wrong, despite clearly being a man of the Left. He traces the story back to Ronald Reagan’s deregulation of the savings and loans, which led to the S&L crisis just a few years later. But he also lays plenty of blame at the feet of the Clinton Administration, and men like Larry Summers and Robert Rubin, who repealed the Glass-Steagall Act that had kept personal banks and investment banks separate since 1933. He goes on to wag a finger at George W. Bush and Barack Obama, as well. Oscar-Nominated Director Dishes on New Financial Crisis Doc "Inside Job"
Oscar-nominated Charles Ferguson, attending a private screening of his latest work "Inside Job" in Washington, D.C., last night, detailed what we can expect from the documentary, which dissects the financial crisis. The Washington Note scribe Steve Clemons hosted the event. You can hear the anger simmering in Ferguson’s voice as he talks to some of the people he considers at the very least complicit in what’s happened. There’s one particularly great moment when Ferguson asks John Campbell, Department chair of Harvard University’s Department of Economics, about conflicts of interest that have of late muddied the field of economics. Campbell just stammers and stumbles until admitting he might have to rethink the question. Unfortunately, Ferguson on more than one occasion edits out his subjects’ answers, giving himself the last word—the moments come off as a cheap zingers. The new Blu-ray edition of the film comes with the obligatory commentary from Ferguson and producer Audrey Marrs. There’s also an interesting featurette about “The Making of ‘Inside Job,’” in which Ferguson and Charles Morris, who predicted the mess in his book “The Trillion Dollar Meltdown: Easy Money, High Rollers and the Great Credit Crash,” discuss how the film came about. And then there are the deleted scenes, of which there is far too many, with their total running time rivaling that of the film itself. There are some great moments among them, to be sure, but the footage is too raw and there’s way to much of it, causing them to suffer from what economists would term diminishing returns. “Inside Job” is available on Blu-ray and DVD March 8.